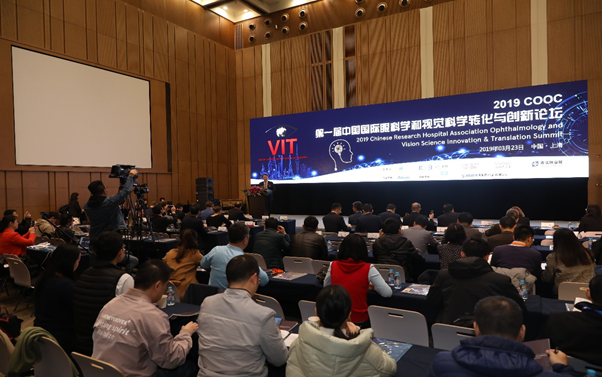 On March 23, the First China International Ophthalmology and Visual Science Innovation & Translation Summit was held in Shanghai. 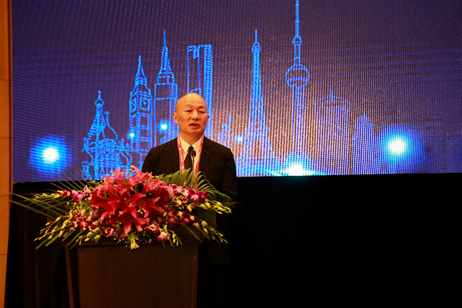 On March 23, the First China International Ophthalmology and Visual Science Innovation & Translation Summit hosted by the Ophthalmology and Vision Science Committee of Chinese Research Hospital Association was held in Shanghai. 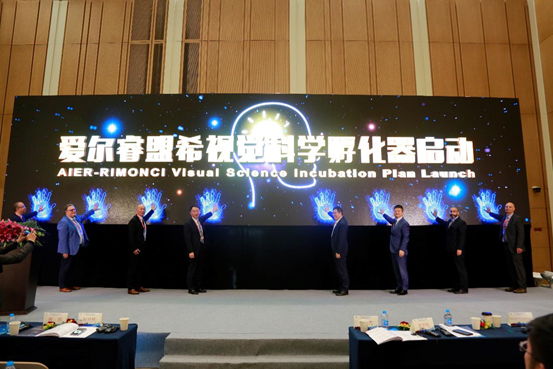 At the summit, the “AIER-Rimonci Visual Science Incubation Plan” (hereinafter referred to as “incubator”) was officially launched by AIER and Rimonci. This is another step of AIER in ophthalmology and visual science incubation field after the establishment of“AIER Global Tech Innovation Incubation Fund” in 2016. The plan will create a new model for the translation of Chinese ophthalmology research, which is expected to enhance the ability of clinical translation of Ophthalmic technology and independent innovation in the future. “AIER-Rimonci Visual Science Incubation Plan” jointly initiated by AIER and Rimonci is officially launched. Prof. Sun Xinghuai, the Director designate of Chinese Ophthalmological Society & the dean of Eye & ENT Hospital of Fudan University, Prof. Wang Ningli, former director of Chinese Ophthalmological Society & the dean of Beijing Tongren Hospital, CMU, Mr. Chen Bang, the Chairman of AIER Eye Hospital Group, Mr. Li Li, the President of AIER Eye Hospital Group and incubator partners from Germany, the United States, Singapore, and Israel attended the launching ceremony. With the guiding principle of openness and sharing, the incubator will unite the top scientific research and operation teams of three continents, which includes the United States, Israel, Singapore, Germany and other countries to create a visual science incubation platform. In 2016, AIER initiated the establishment of the “AIER Global Tech Innovation Incubation Fund”; the initial investment is up to US$100 million. As one of the key initiatives in the global ophthalmology innovation ecosystem, the incubator will cover some unmet clinical needs in the fields of ophthalmology, optometrists and neuro-ophthalmology. What especially worthy of attention is that the incubator platform brings together not only highly experienced industry masters and some advantageous resources but also institutions such as patent law firms specializing in ophthalmology & visual science worldwide, design institutes and materials research institutes focusing on ophthalmic product prototypes, new drug discovery agencies, professional institutions for pre-clinical and medical validation of ophthalmology and pharmaceutical R & D contract outsourcing services institutions. Once the project application is accepted, it will obtain precision global resources and services in ophthalmology and visual science. The incubator will provide comprehensive support from seed funding, patents, design, animal, clinical, expert resources, and human resources needed by startups, enabling scientists to focus more on research, thereby improving the translation of scientific and technological achievements effectively. "The incubator operation fully follows the international advanced experience, operates in a market-oriented manner, serves the incubation project, and truly realizes innovation without border, medicine without border!" said Ms. Liu Yuxiao, CEO of Rimonci. In order to ensure the quality of incubation project, the incubator will build a professional team, establish a rigorous system, form a professional, standardized and advanced investment management system, and set up a professional committee with top experts in ophthalmology and visual sciences. With AIER Teaching & Research Integration Platform, the incubator can provide professional guidance, evaluation and inspection for the screening, project establishment and implementation of all investment projects. 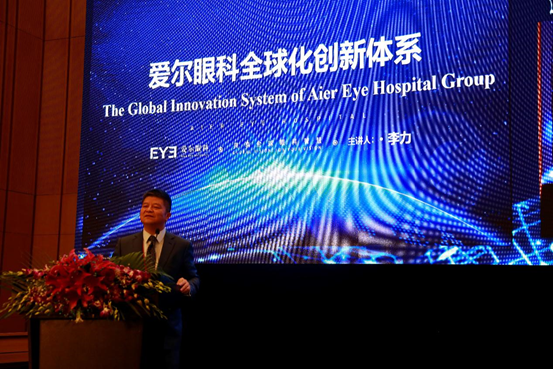 Mr. Chen Bang, Chairman of AIER Eye Hospital Group, delivers his speech. Mr. Lili introduces the global invocation system of AIER Eye Hospital Group to audience at the summit. For many years, adhering to the international strategy, AIER commits to creating a global innovation ecological chain. AIER also successively developed the ‘Cloud Clip' -world's first smart wearable myopia prevention & control equipment and ophthalmic AI diagnosis system and other High-tech products. "We hope to build such a technological innovation platform and will contribute it to all the fellows in Chinese ophthalmology industry!" Mr. Chen Bang said. 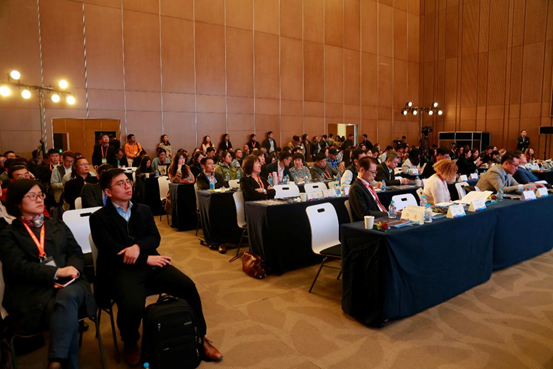 The Summit attracts a large audience in ophthalmology and related industry.